Although many of us are interested in preventing violence, often our efforts are focused in different—but equally necessary— ways. Understanding the different levels of prevention can help us understand how our efforts complement each other. 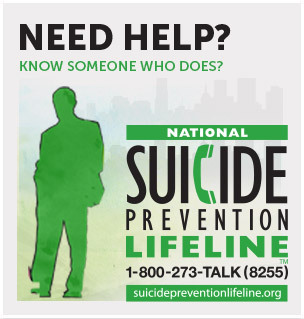 CDC’s Division of Violence Prevention focuses on the primary prevention of violence. 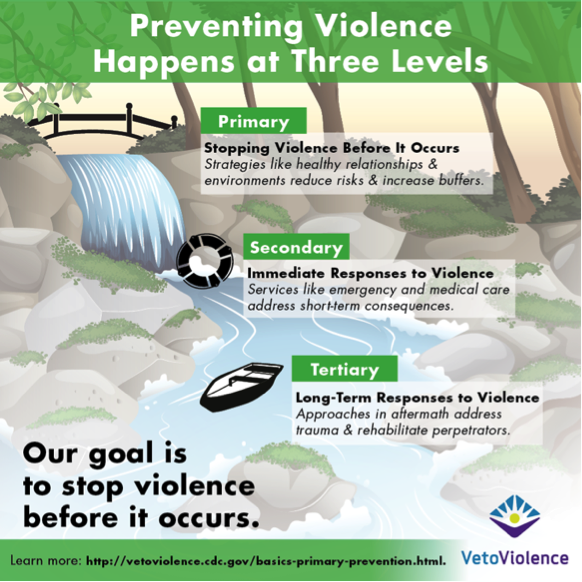 Share this graphic with others to demonstrate how every level plays an important part in the larger picture of reducing violence and its effects. Learn more about primary, secondary, and tertiary prevention by completing the Principles of Prevention interactive training.